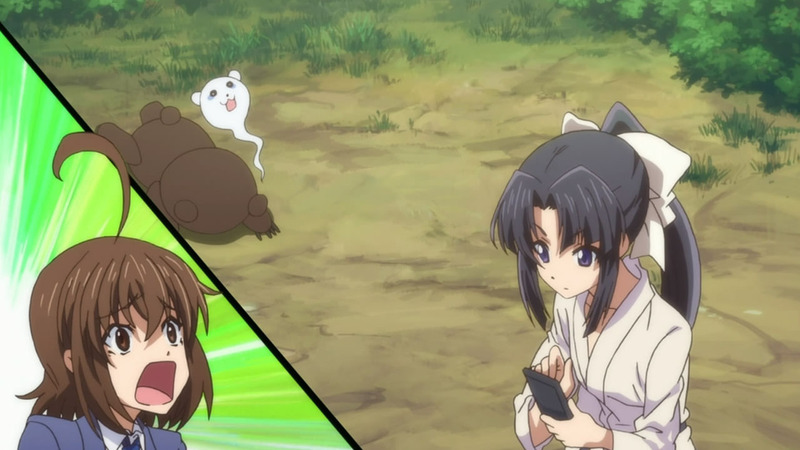 Every anime season has it’s fair share of slice-of-life comedies. They’re cheap to make, appeal to a wide audience, and thus are easy profits. You have to wonder just how long they can keep making these kind of shows until it just starts getting bland. Sure they can get away with cute characters and quick laughs, but the success of these types of shows also depends on the writing. There really isn’t much of a plot to talk about here. 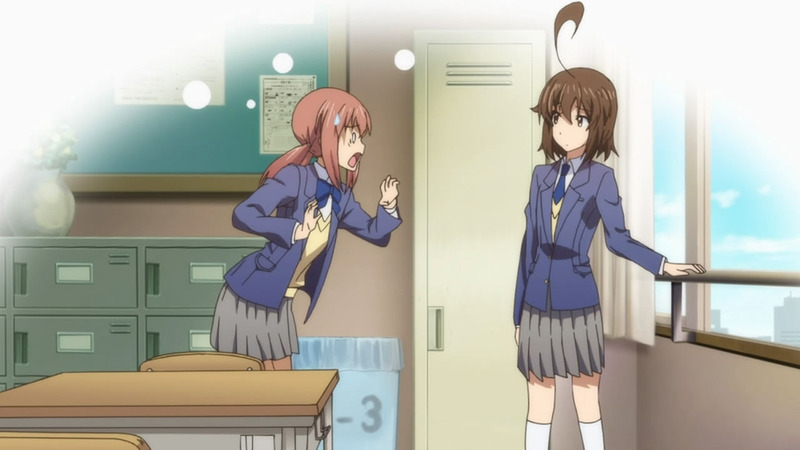 Natsuki Andoi (Ibuki Kido) finds out, to her big shock, that her school has a “Go-Home Club”. After meeting the club’s eccentric members, she ends up becoming one of the new members. And so, we watch as she is forced to deal with possibly the strangest group of people she’s ever met in her life as they move on from one random activity to the next. I’ll admit, I laughed a few times while watching this first episode. There were some amusing bits such as the bear wrestling joke that turned into a lengthy parody of pretty much every cliche in the action shounen handbook. It’s the type of humor that you would expect from a 4-koma series. Rather than have overarching plot threads, the show instead relies on sketches that have little to no relation to each other. The result is like watching a comedy act go on for 24 minutes as the comedians jump between topics to keep the viewer interested in the next joke. She’s probably surprised by the size of her ahoge too. So how does the rest of the show hold up? The jokes are really all it has going for it, and that’s going to depend on what the viewer finds funny. Everything else is really so-so. 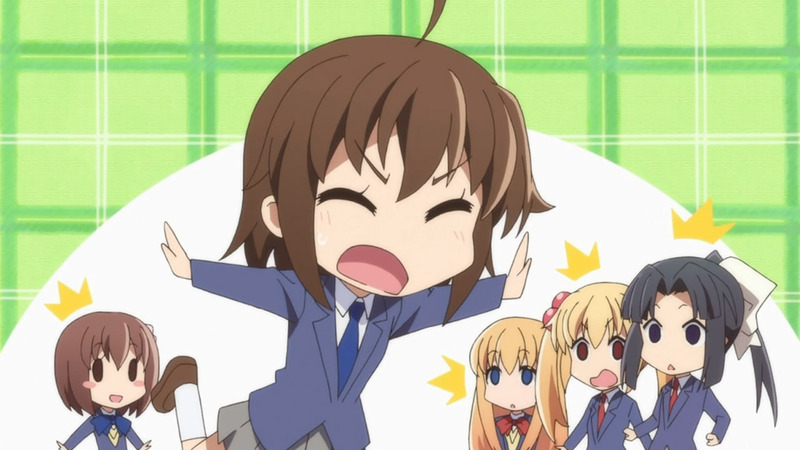 The animation is nothing to shake a stick at, but it is servicable for a comedy series like this. 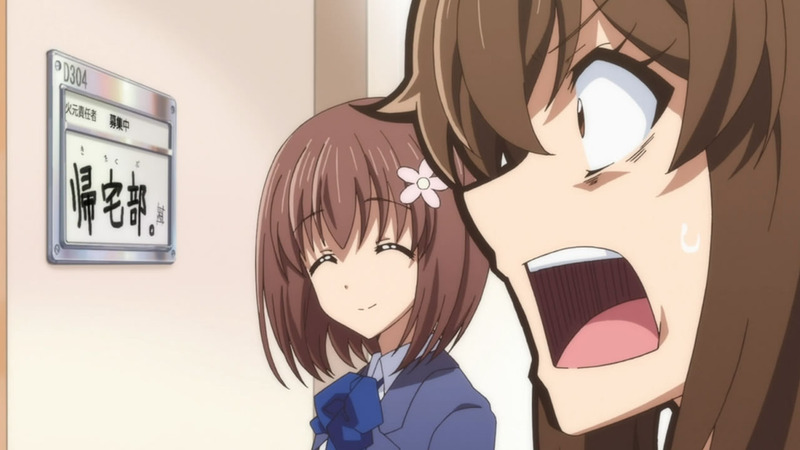 The character designs are okay too, with the exception of Natsuki’s ahoge. I swear the thing looks like it could rival the Dubai Tower. Not only is it distracting to look at, but it just doesn’t look like a good character design choice at all. If this is supposed to be some part of a clever joke, I’m not seeing it. The rest of the characters in the Go-Home Club are a really generic bunch. 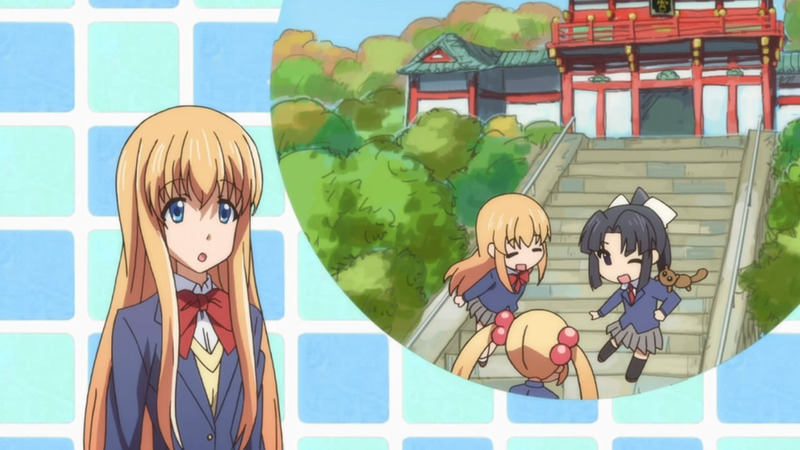 We’ve got the martial artist action girl, the ojou-sama, the clueless best friend, and the eccentric club leader. As a unit, they can be entertaining to watch as they go one from one random conversation to the next. It’s especially funny since we have Natsuki acting as the straight man and being shocked by the lack of normality in the club room. That said, there’s not much to like about each character once you really examine them individually. They’re all just cardboard cutouts of tried and true tropes, so the lack of any originality really bothered me. It doesn’t try to revolutionize the comedy genre and plays it safe. If you’re looking for a quick pick-me-up, you’ll find something to enjoy about Kitakubu Katsudou Kiroku. It doesn’t take much beside a short attention span and a funny bone to enjoy it. But if you look closely, you won’t find much else to like aside from that. There’s no deeper storyline, no character development, and nothing new to see. And for some, that’s just fine. Comedy sketches are fine in anime, but I honestly don’t know if they can keep entertaining for 11 more episodes.